Society gives us an opportunity to practice being in the world, but not of it. In society, we have rules, regulations, “shoulds”, “should nots”, traditions, habits and routines. These make up a plethora of “ticky-tacky” boxes as we call them. We can learn to abide by the necessary laws and rules and not feel controlled by them. With a deeper understanding of society, we can feel more fulfilled and enjoy our work and social lives, our family and community activities. The basic structure of society comes from science and religion. Today, science has given us many conveniences; for instance, cars and airplanes. Religions give us principles to follow such as the Golden Rule: “do unto others as you would have them do unto you”. So we have rules for driving cars or taking plane trips. The main purpose for these rules comes down to having respect for each other. It’s knowing where our boundaries end and others’ boundaries begin. In the developed western societies we have many rules and customs, guidelines, should’s and should nots. In the diagram to the left we show societies’s rules coming out of science and religion. The crossed lines in the diagram to the left represent the rules or guidelines of society. These rules can be written in laws or they can be unwritten and part of the customs or traditions. Certain rules from the outer world can be ingrained in us from our earliest earliest years. The rules and guidelines form the “ticky tacky boxes”. We can sometimes see these rules or traditions as frustrating and limiting us. Other times we may see them as helping to keep society organized so each person knows what he or she is supposed to do or not do. Sometimes, all these rules, customs and shoulds and should nots can be like boxes that people have to live in. The problem in many societies today is the rules are sometimes over organized. Instead of being a means to an end, they become an end in themselves. These rules confine and limit our freedom. This is especially the case in societies overly bound by tradition or who do not base their rules on clear principles such as basic human rights. Our angels assist us in many ways, especially in a bigger picture sense. They help us in being souls with a body, and not getting caught up in thinking only about the physical world. These higher souls can help us navigate these “tacky-tacky boxes” with the rules, regulations and customs of society. When I connect with my angels and see society as a means to learn, grow, share and provide my service, I feel freer. I find ways to be part of society and work with its rules. I realize the rules are there for my convenience, to create boundaries and respect for each other’s rights. These higher souls can help people rise above the challenges and keep their sights on the bigger picture of being evolving souls. With involvement, I give myself opportunity to grow, to share and learn from others. If you are deeply involved in what you feel is best for yourself and others, that is great! We’d love to hear from you. For instance, feel free to be part of an upcoming Face Book Live Stream or in other ways. Many of us are taught not to be involved, or do mostly what the outer world wants from us. We can pick up this attitude from our earliest years and it can continue until we clarify this bigger picture and our incredible opportunity on planet earth. We may have been “burned” when we got involved, or were overly involved. But, when I sharpen my inner communication and intuition, I will know where I need to be involved, how much and what to avoid. With the help of the angels, I’ve got it made, provided I take the time to work with these spiritual helpers. When I come from a place of true concern, the people I am involved with in society sense it. It’s important to keep my true concern from becoming over-concern and getting too caught up in the outer world. Or, I can also fall into under-concern, or apathy, which is limiting and can take me off my path. My best option is to clarify my bigger picture as a soul, the reason I chose to come to planet earth, the particular society I am in and especially the family that I incarnated into this lifetime. When I have this deeper sense from within and not from an outer belief system, then I will enjoy being more involved in my life, the people in it, places and things of the world. I can enjoy the journey more than ever. How do I keep this bigger picture when I am in the thick of it all? You may already have ways to avoid being too caught up in the outer world. If not, or if you want to learn more ways, you are welcome to come to a free webinar, FaceBook Live session and other talks and workshops available through this website. You can subscribe to our news at the bottom of these pages to be kept informed. You can also unsubscribe at any time. 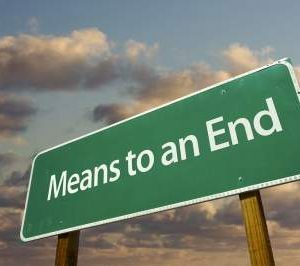 An important key to navigating life on planet earth is to remember: It’s all a means to an end and not an end it itself. Close your eyes and repeat this sentence a few times. You can then ask your angels, God or however you perceive a higher source for any insights about how you can live this way more of the time. After tuning into whatever comes to you, make a note of any thoughts, words, feelings, pictures that come to you. If you receive an insight, great! If you do not, it usually just means taking a little time to practice and open up your inner communication and you will receive right-on and helpful insights. Above all, your experiences in society are about learning, growing and being the soul that I am. The outer world is a means to an end and not an end in itself. It’s sharing what I have in a way that works well. It’s regrouping or learning from my experiences so I can stay above the fray, be involved in my life and gain the most from my opportunities on this earth. This way, I can stay connected with my bigger picture, my good, kind, loving inner being and my angels. How have you been involved in society while staying above the challenges and not-so-positive parts? We would love to hear from you. Feel free to let us know. Drop us a line, support@SpiritualGrowthKeys.com and we will send you back a simple way to regroup and gain the most from each day. Or, join us for one of the upcoming Facebook live sessions on this topic or other on-line or in-person events. We all can learn and inspire each other on our journeys. Copyright © 2018 GFI Services Inc., Alley Copyrights Inc., All rights reserved.